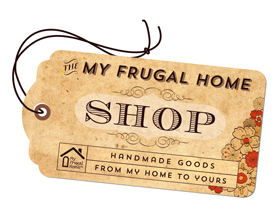 It's the middle of the month already and all is frugal on the homefront. A week ago today was the last time cash was spent on groceries and the only other was that $5 on the lotto ticket. Today is allowable spend on property tax. That's the necessary costs taken care of until Feb 1. I enjoyed a couple of hours playing Scrabble this a.m. at the senior centre. That's one way of waking up the brain, LOL! Afterward one of the other attendees and I enjoyed a coffee getting to know each other, using a gift card. I'm home now and enjoying the warm and cozy feeling after being out in the cold. It's only Tuesday but there is talk on the Weather Network of a big snowstorm on the week end, originating in the U.S. and stretching north our way. There's a potential for 15 to 25 centimeters for my area and even more for Hamilton, Niagara Falls. Today I think I'll start a list of needed groc. I know coffee is at the top of the list; can't live without that morning coffee. Good wishes to Jackie and Penny while you are dealing with your health issues. Prayers for you. Good morning. Keeping Penny and Jackie in my thoughts and prayers for a good outcome .Rinty also keeping your DH, you, and your DS in my thoughts and prayers. It is overcast and cold and only going to warm up to around mid 30's. I do not think my car will get unstuck from the driveway. I might go out late afternoon and dig some more and throw some kitty litter under the tires. I keep some for just such an occasion. I had a rough night of not being able to sleep despite taking generic benadryl. Around 2:00 AM took a muscle relaxer and finally got to sleep sometime after 3:30 AM I am now having to live with extreme doziness from the medications. However cannot give in to them and sleep since it will take the edge off of my nighttime need to sleep. I am going to make some oat cakes since I am out of bread and crackers. Also think I will make some cornbread to go with my skillet meal of beef and cabbage that I made yesterday. Not much else going on..
Cleaned the wall mounted fan. I like to sleep with the low breeze and light noise. It collects a lot of dust. But it is easy to take apart and clean. In the summer i wash the parts outside. Now i just use a damp cloth and those fuzzy dust things. The COD is still asleep. We have weird schedules. Mackie, DH uses regular drugstore (well, dollar store) reading glasses at the computer. A possible option for you? LWolfT, The only blue tote bags that I have seen are the ones they put in the free gifts that they have given me several times. I have been given at least 3 of them since I have been buying on-line. Bags are small, but include things like sample glass Coke, chips, candy bars, deodorant, toothpaste, peanuts and a $5.00 gift card. As I have posted, I am crazy about the service. The groceries have been in their plastic bags, transported in a blue bin.